There are plenty of things to see and do in Dundee, Scotland’s fourth largest city. In addition to pubs, bars and restaurants, there’s a strong history of both science and culture and a vibrant future which includes large scale redevelopment of the Waterfront area. 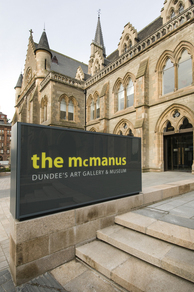 Prominent in the Dundee West End is the Dundee Repertory Theatre, while the centre of the city boasts the McManus Galleries for art and natural history, or Dundee Contemporary Arts for films and modern art. And the Royal Scottish National Orchestra regularly visit Caird Hall. You’ll be well catered for with a range of places to eat and drink in Dundee. 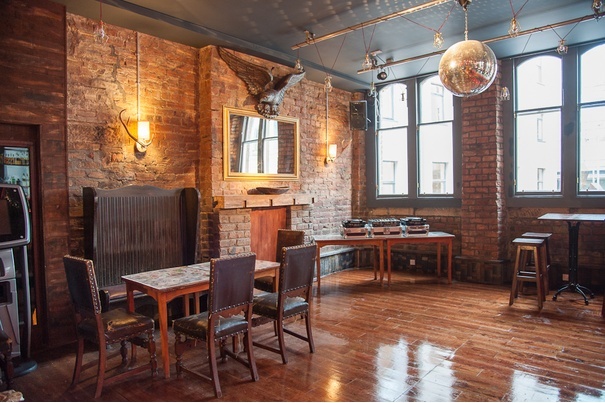 There are a wide range of traditional pubs and bars, and new venues like BrewDog Dundee. And a strong focus on traditional and modern Scottish cooking means you won’t go hungry. And if you prefer more exotic cuisine, The Gulistan House has been preparing Indian food since 1979, while the legendary and enigmatic Sol y Sombra Tapas Bar requires booking weeks in advance to sample their Spanish set menu. Dundee also has a strong literary heritage, including the biennial Dundee International Book Prize. Whether you’re looking for gigs and live music, concerts, plays or nights out, you’ll find the latest details. And two universities fuel the wide range of club nights and parties. If you run a venue or you’re organising an event in Dundee and want to make sure it’s listed, email listings@theskinny.co.uk.